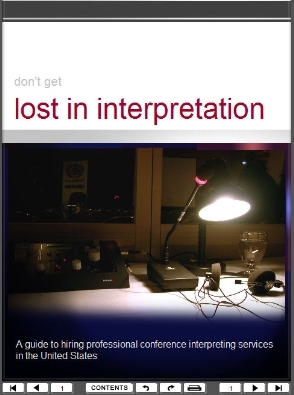 AIIC is the French acronym for the International Association of Conference Interpreters. AIIC sets the standards of practice of the conference interpreting profession worldwide. The observance of these standards enables conference interpreters to perform effectively. Define the conditions of sound, visibility and comfort that enable the qualified professional to deliver quality service. Establishes the standards of integrity, professionalism and confidentiality. AIIC members are bound by the strictest secrecy and forbidden from deriving personal advantage from information obtained in the exercise of their duties.